Jonathan Hayne was apprenticed to Thomas Wallis II on 1st January 1796. He became free on 4th June 1804 and registered his mark on 14th November 1808, as a large-worker. This was only a very short period of working on his own as he registered a mark with his former master Thomas Wallis II on 22nd February 1810. 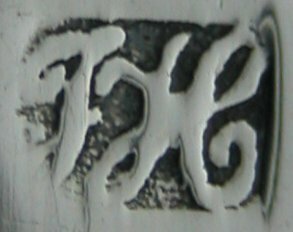 They worked together until Jonathan Hayne registered another mark on his own on 3rd July 1821. Jonathan Hayne then registered many more marks up to 1834. He died on 19th March 1848. Sugar tongs made by Wallis & Hayne together are quite common, but they are not so common, marked by Jonathan Hayne alone. 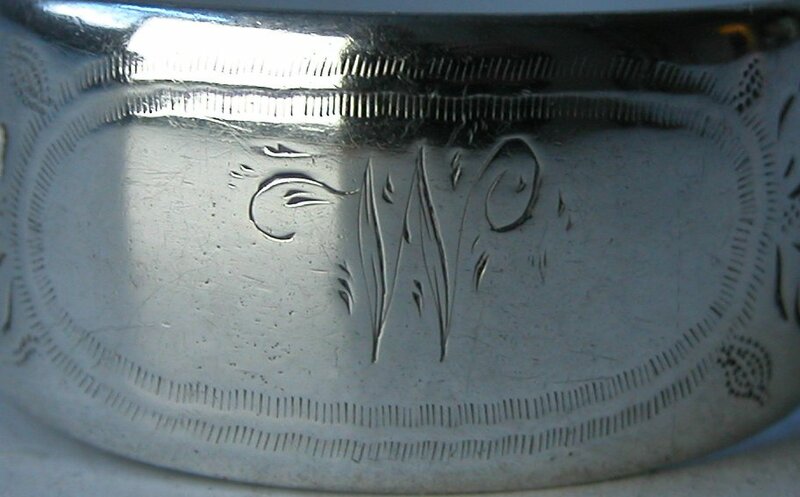 This pair are dated 1824 and are typical for the period, having machined bright cut engraving to the top half of the arms and being plain over the rest of the length, with large bowls.